When we talk about "culture," we’re almost always talking about people. But many biologists argue that non-human animals have culture too, and that their cultures, like our own, can shape and be shaped by the environment and genes. Researchers who have sequenced the orca genome say the cetaceans’ DNA tells a tale of culture, socialization, and dispersal through the world’s oceans. The findings are published this week in the journal Nature Communications. Orcas’ success is due in part to their practice of sending out small groups to explore and then inhabit unfamiliar territory. Their long life spans and matriarchal social structure also allow settlers to pass on what they’ve learned to the next generation, which makes it more likely that a new outpost will survive. Over time, these little groups, or ecotypes, adapt to their environment, changing their diets and developing new hunting techniques. In other words, they create a new culture. 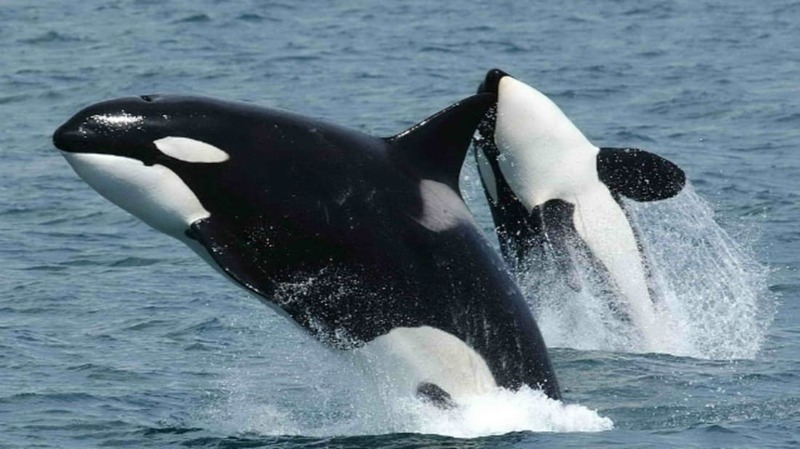 To get a more molecular look at these ecotypes, an international team of scientists set out to sequence the orca’s genome. They used biopsy darts to collect tissue samples from 50 wild orcas from around the world. Some of the orcas belonged to ecotypes that ate mostly fish. Others were penguin specialists, and still others preyed primarily on marine mammals like seals. Analysis of the orcas’ DNA revealed a familiar story: a tiny reflection in genetic code of the orcas’ natural history—and our own. Tracing patterns of gene expression showed that, across the board, a population shrink (often called a "bottleneck") led to the creation of a new outpost, which, once established, was followed by a population boom as the orcas adapted to their new home. Did the settlers thrive in their new environment because they had the genes that would allow them to safely change their diet? Or did the change in diet prompt a shift in genetic makeup? That remains to be seen. This is just the first page of a new chapter in science history.